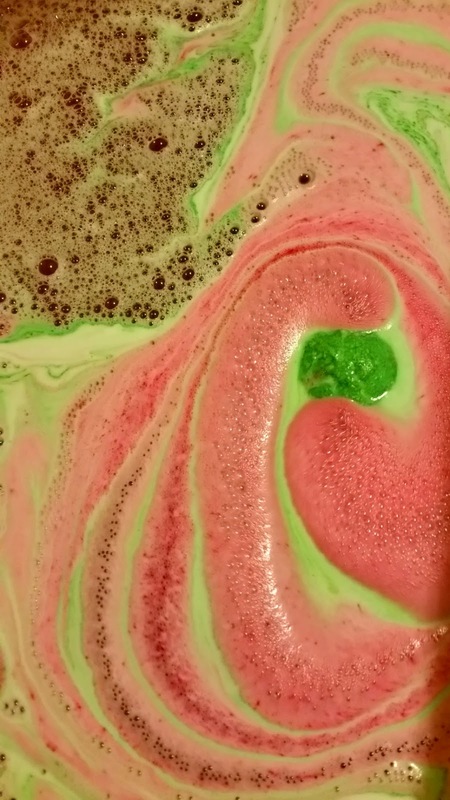 After doing my research I'm a little confused with this bathbomb - I'm unsure if it's from their Halloween or Christmas collection.. either way, here are my thoughts! 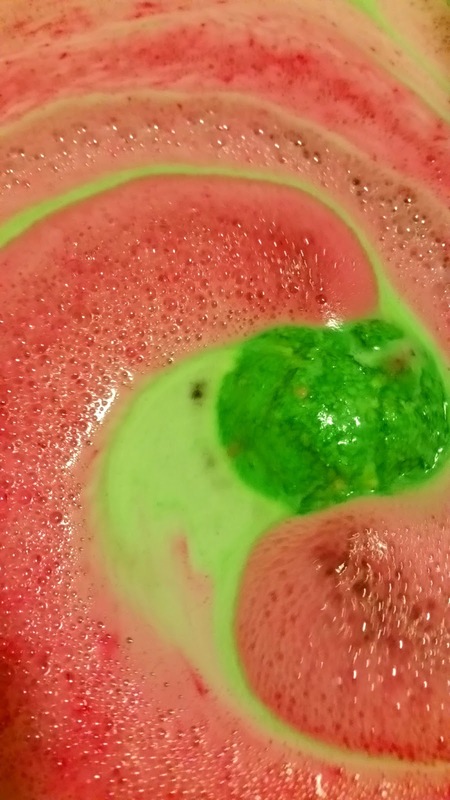 Yet again, another misleading bath bomb - this green rather boring looking bomb soon created pretty swirls of green and red wine/pink in my bath water. 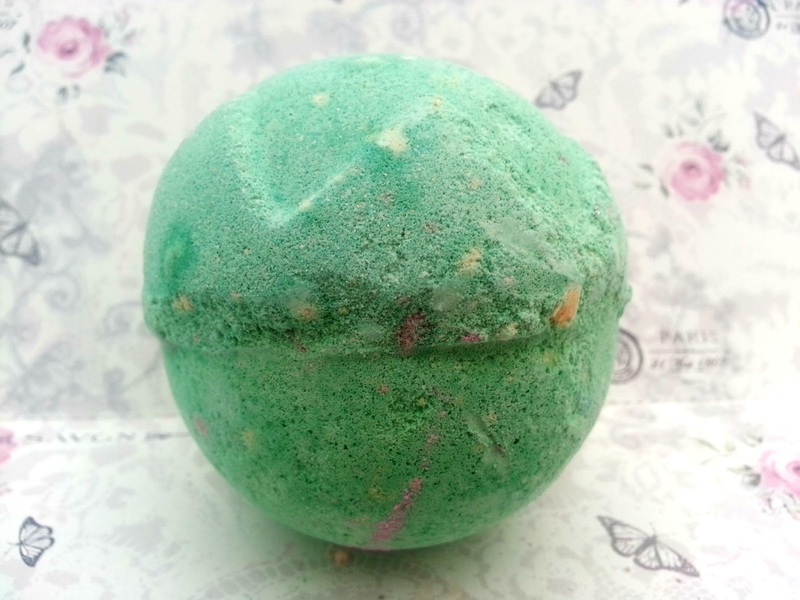 The smell was divine, a good concoction of both sweet and spicy. Yummy!